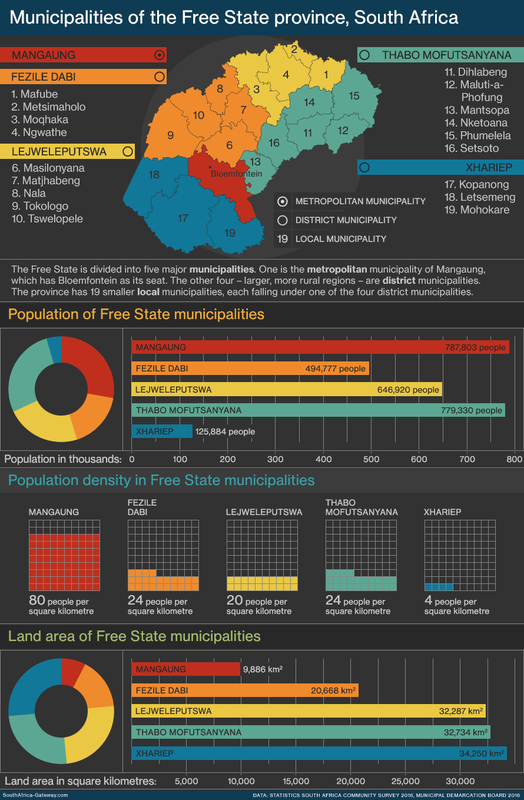 The Free State is divided into five major municipalities. One is the metropolitan municipality of Mangaung, which has the city of Bloemfontein as its seat. The other four – larger, more rural regions – are district municipalities. The province also has 19 smaller local municipalities, each falling under one of the four district municipalities.